Towering Above All for Maximum Visibility! 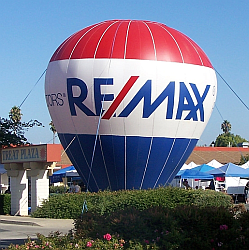 We provide RE/MAX inflatables including the RE/MAX Hot Air Balloon to Northern California RE/MAX agencies for use in their marketing programs and at regional special events. 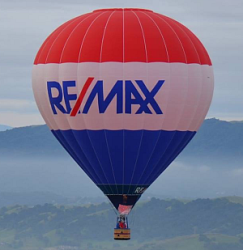 There are many ways to make your RE/MAX office rise "Above the Crowd! "® and stand out in your community. 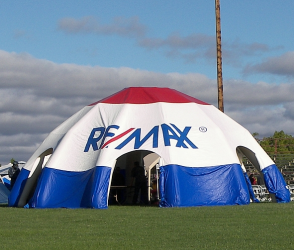 One of the easiest is to utilize our RE/MAX inflatable equipment in your marketing programs and at high traffic public and media events in your area. 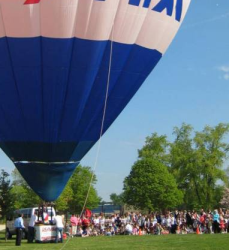 In addition to the RE/MAX Hot Air Balloon, we have cold air inflatables that can be brought to your location to help maximize visibility. RE/MAX office visibility, how's yours? Eight Weeks to SOLID Brand Recognition! made RE/MAX one of the most recognized brands in the world.